Following up on the success and rave reviews of our newly released Vocalist® products, we decided to make a pedal with the same cool features but specifically designed for the guitarist. With our exclusive musIQ™ technology we were able to combine the lightning-fast natural sounding harmony generation made famous by the Vocalist pedals, and fuse it with the demands of professional guitarists everywhere. 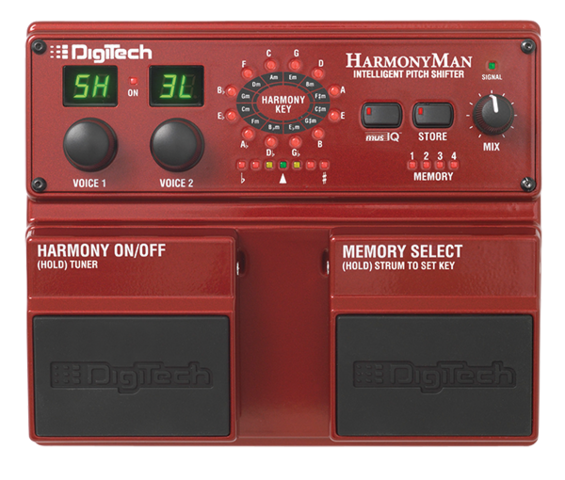 HarmonyMan™ is the world's first guitar pedal that generates harmonies based on your chord progression. 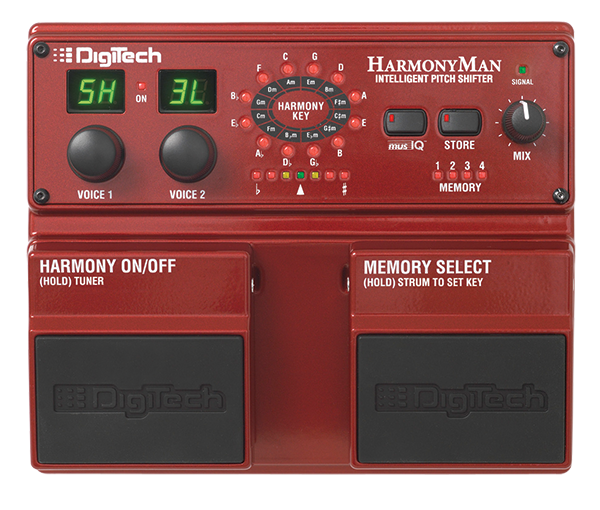 It features four different types of pitch shifting depending on which of the 42 different voices are selected. Combine up to two distinct voices in any combination to accompany the input signal: a 3rd or 5th above or below, an octave up, two octaves below, 24 semitones and 4 detune variations. 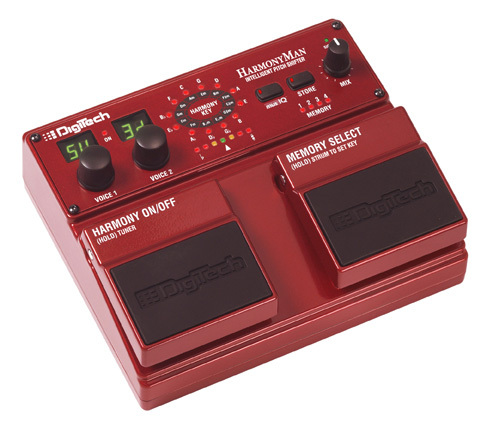 Simply play the songs you know and love, and when the spotlight cues your solo, hit the harmony footswitch to get amazing multi-part guitar harmonies! Create musically correct harmonies based around your favorite chordal structure whether soloing a riff in a specific key or using the sidechain input for chord recognition. Creates musically correct harmonies with various shifting depending on the harmony key. Applies fixed harmony intervals to all notes with the fixed number of semitones selected. 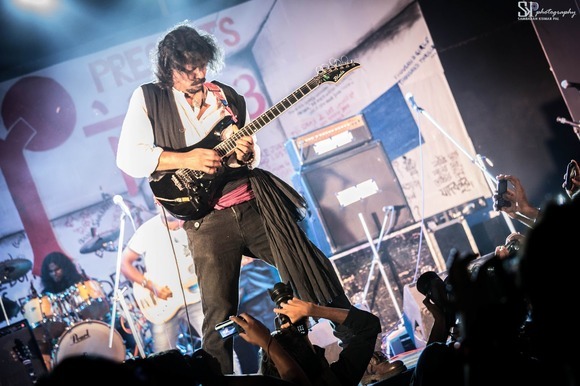 Get a thick overall sound applying a small fixed amount of pitch shifting to the lead guitar voice ranging from 5 cents to 30 cents in both up and down directions simultaneously.